My name is Bruce and I love all things vintage and retro. One day many years ago, I realized that the bulk of my time online was spent watching old TV shows and movies which I hadn’t seen in many years. I decided to build a blog which I named Retro YouTube as YouTube was the source of many of my good finds. I blogged there for many years and amassed quite a collection of old videos, including TV shows, movies and old commercials. More recently I decided that the blog was too limited and started working on this site. 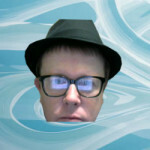 WordPress has opened up a whole range of new possibilities and has allowed me to better organize and display my posts. I have met quite a number of people along this journey and have learned so much. Being a child of the 70s and a young adult in the 80s, finding clips from my childhood is always a thrill. However, when designing this site, I decided to post vintage clips and videos from the 1920s through the 1990s. This has opened my eyes to so much history and classic moments that I knew nothing about. It is quite a learning experience for me (and a fun one at that). Thanks for stopping by!